Joe Montgomery is a junior at Middletown High School. He is entering his 2nd and 3rd semesters in journalism. He is currently a starter on the school golf team. Joe also is the play-by-play announcer on the livestream for the high school football games. 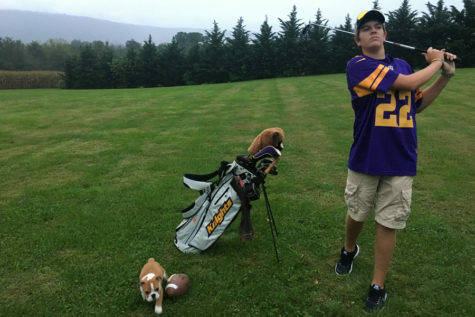 In his free time he enjoys golfing, fishing, and watching his favorite sports teams, the Minnesota Vikings and Maryland Terrapins. In his future, he plans on attending a 4-year university and being a play-by-play announcer or sports analyst.